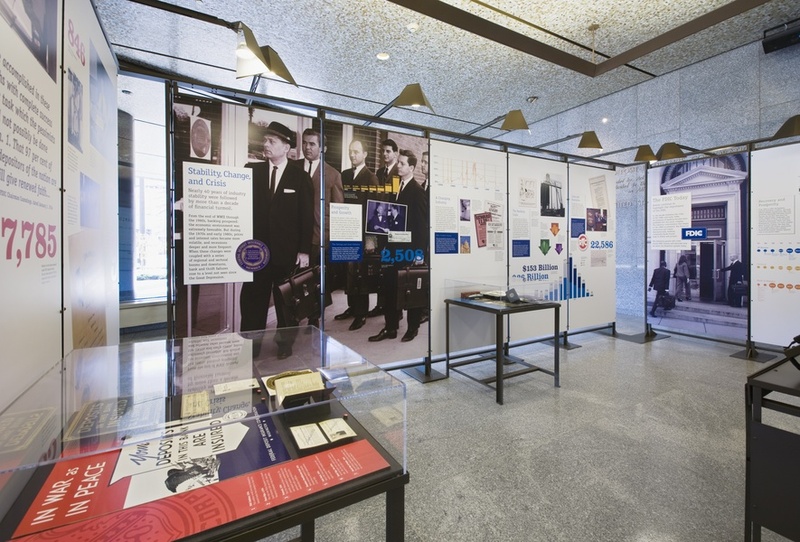 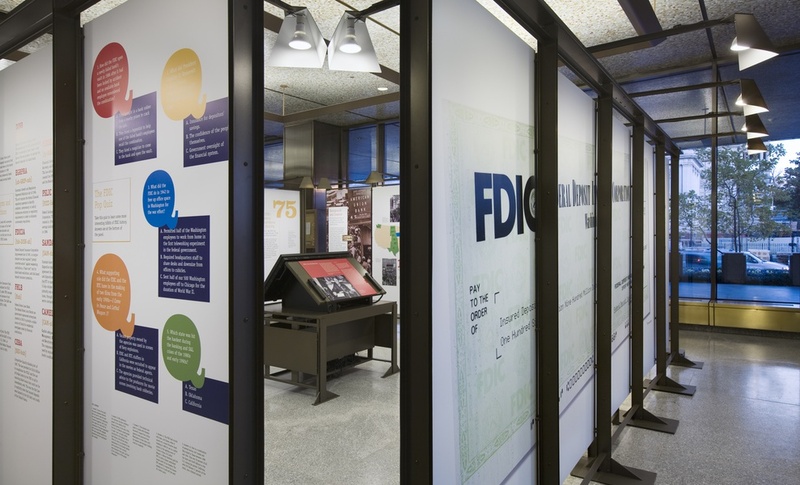 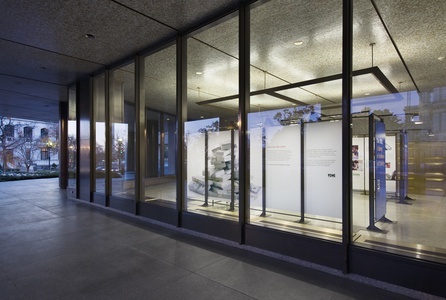 This project celebrates the 75th anniversary of the Federal Deposit Insurance Corporation (FDIC), the independent agency created by Franklin D. Roosevelt and Congress in 1933 to maintain public confidence in the nation's banks. 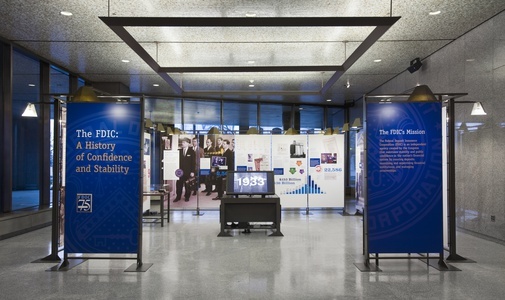 The exhibit, open to the public a block from the White House, walks visitors through the history of the institution, the forces that steered its evolution, and its mission to protect the financial well-being of all Americans.Historical information is presented with a magazine-like editorial layout, filled with colorful imagery, facts and large-scale numbers. 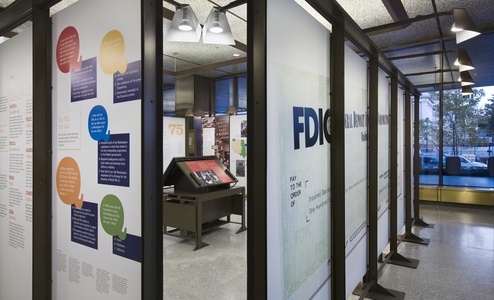 Explanatory graphs, charts and diagrams demonstrate the process of investigating banks, increasing levels of financial protection, and the number of failed banks before and after the founding of the FDIC. 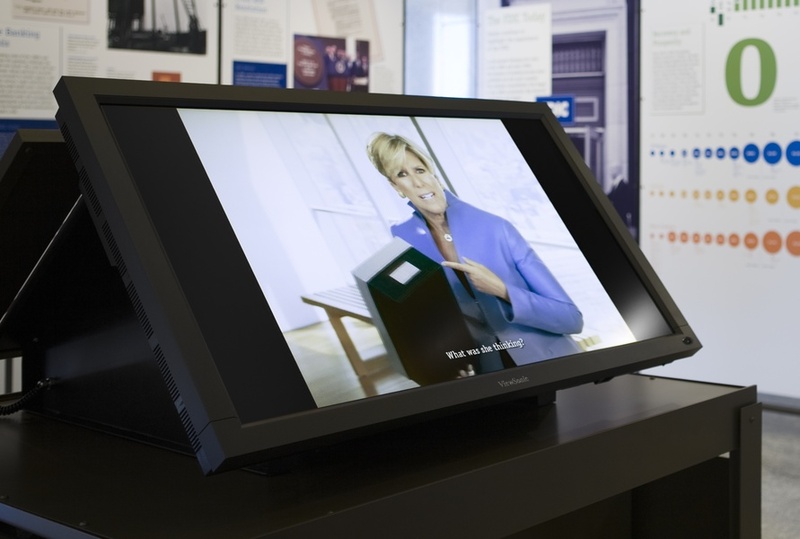 The exhibit also features changeable artifact cases, sound sticks and an interactive station fitted out with vintage newsreel footage, explanations of banking and finance, and public service announcements to promote financial literacy. Originally planned to be a year of retrospective celebration, the anniversary actually occurred during one of the most hard-hitting financial crises of modern times.